Lt. 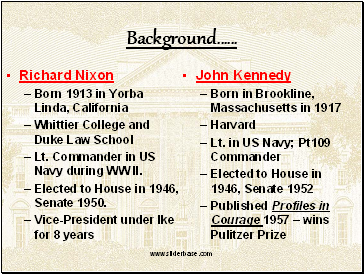 Commander in US Navy during WW II. 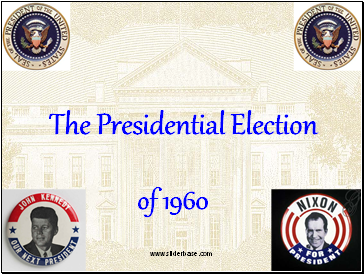 Elected to House in 1946, Senate 1950. 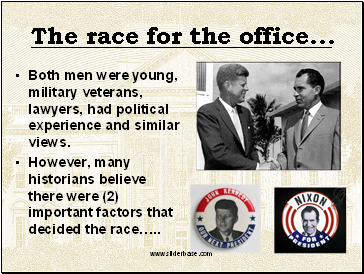 Both men were young, military veterans, lawyers, had political experience and similar views. 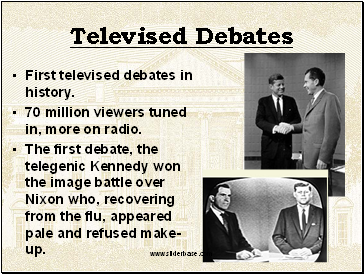 First televised debates in history. 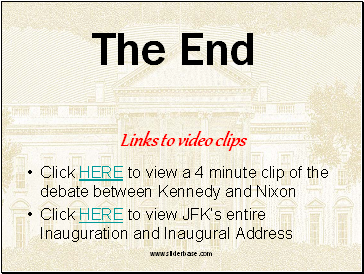 70 million viewers tuned in, more on radio. 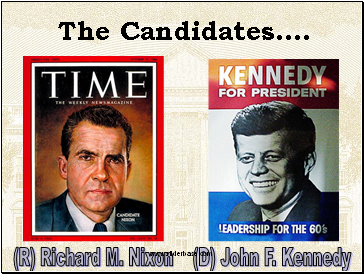 The first debate, the telegenic Kennedy won the image battle over Nixon who, recovering from the flu, appeared pale and refused make-up. 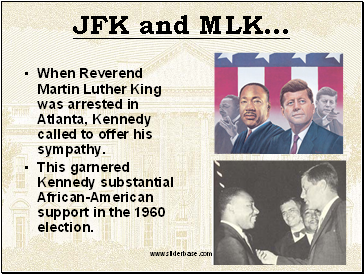 When Reverend Martin Luther King was arrested in Atlanta, Kennedy called to offer his sympathy. 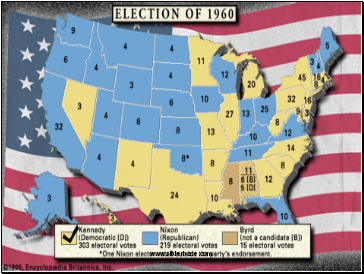 This garnered Kennedy substantial African-American support in the 1960 election. 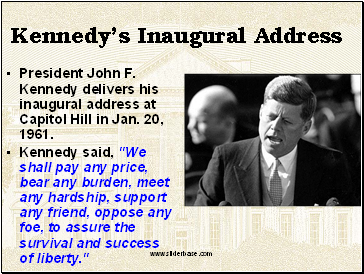 President John F. Kennedy delivers his inaugural address at Capitol Hill in Jan. 20, 1961. 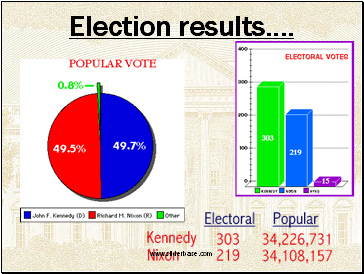 Kennedy said, "We shall pay any price, bear any burden, meet any hardship, support any friend, oppose any foe, to assure the survival and success of liberty."